Pre-Finished & Engineered Wood | Mo-Kan Carpets, Inc. There is no doubt that hardwood floors add tremendous value to any home. With natural beauty, wood flooring can transform any space to create classic	elegance that you and your family will enjoy for many years to come. 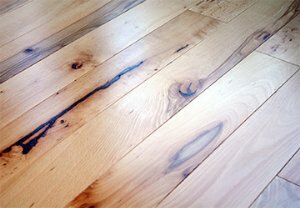 At	Mo-Kan Carpets, Inc., we can provide you with natural wood flooring that is pre-finished, meaning	the finish is applied and cured in the factory. We can also provide you	with flooring that is made of engineered wood. While many people choose real wood because of the higher value it can add	to a home, others prefer engineered wood because it tends to be more affordable,	easier to install, and more resistant to damage. With these various options	to choose from, we are confident that you will find the perfect flooring	for your home or commercial space. At Mo-Kan Carpets, Inc., we carry the most trusted brands in pre-finished	and engineered wood. We also offer Kansas City, MO carpets and other types	of flooring. We would love to show you our products in person! Visit our	showroom in Kansas City, MO, or	call us today at (816) 472-4313 to speak with one of our friendly staff members	about your next flooring project.